DisplayPort technology was designed for use with today's latest LCD monitors and will eventually replace connections like VGA and DVI. While the availability of a DisplayPort connector is still uncommon in TN panels, in 2014 the selection is definitely starting to improve. 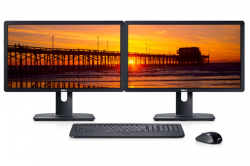 In this post I'll review a few of the top rated DisplayPort IPS and TN panel monitors for 2015. 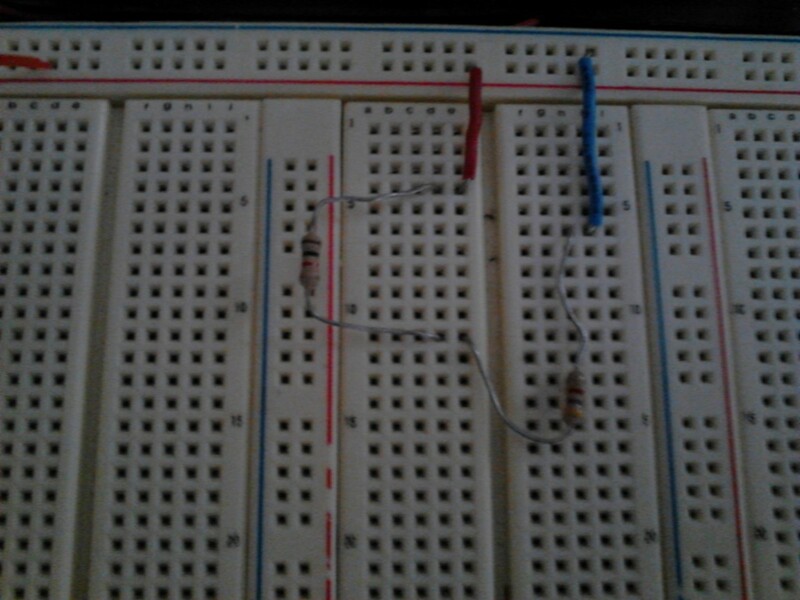 While you can read about DisplayPort to your heart's content at Wikipedia I thought I'd review a few of its advantages vs. older connectors like DVI and VGA. It's important to understand that DisplayPort was not created to compete against or replace HDMI. HDMI is really meant to allow easy connectivity between your computer and external devices like your HDTV. Like HDMI DisplayPort can transmit both audio and video at the same time. For DisplayPort audio support is optional. The most recent version of DisplayPort (1.2) was released in 2009 and supports a bandwidth of up to 17.28 Gbit/s - twice as much as the original. AMD's Radeon HD 6000 series was the first to receive DisplayPort 1.2 source certification. One of the biggest advantages that DisplayPort has is that it allows for Multiple video streams over a single physical connection. DisplayPort is just in time for an era where multiple monitor and Eyefinity Monitor setups are becoming more common in the professional work space. As a standard DisplayPort has support for Native Fibre Optic Cable, WQXGA+ Resolution, 120Hz Refresh Support, and 15 Meter Cable Support as well. For additional information also see DisplayPort's comparison page. For photo editing IPS or in-plane switching panels are ideal because they can more accurately portray true color and don't have as much distortion due to wider viewing angles. While TN panel monitors can reproduce up to 6 bits per RGB color, they can not accurately portray true 16.7 million color. On the other hand, today's latest IPS panels can use up to 12 bits per RGB color for up to 1 billion plus colors. 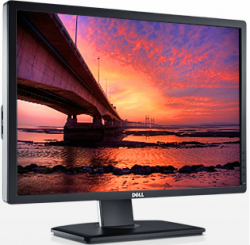 One of 2014's best budget IPS displays is Dell's UltraSharp U2312HM which is one of several value IPS panel monitors that has been released in the last year and a half to appease the increasingly large prosumer crowd. 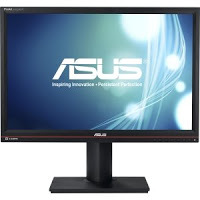 For under $250 you get a full HD 1920 x 1080 resolution IPS panel monitor with D-Sub, DVI, and DisplayPort connectivity. While not quite as accurate as Dell's U2410 model - which can display over 1 billion colors - it's still a good value for the money. 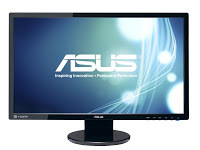 IPS panel monitors are available in a wide variety of price ranges. Here's a look at more of today's best monitors for photo editing and graphic design laptops. Specifications include; 2560 x 1440 resolution, 178Â°(H) / 178Â°(V) viewing angle, 0.23mm pixel pitch, 16.7 Million display colors, 300 cd/m2 brightness, 1000:1 contrast ratio, 7ms(GTG) response time, DisplayPort, 2 x DVI-D, USB, Height, Pivot, Swivel, Tilt adjustment, and it comes with a 4 year limited parts and labor warranty. 1.07 Billion display colors and D-Sub, DVI-D, HDMI, DisplayPort, and USB connectors. Has Height, Pivot, Swivel, and tilt adjustment, and it comes with a 3 year parts and labor warranty. Technical Details: 1920 x 1200 resolution, 178Â°(H) / 178Â°(V) viewing angle, 0.27mm pixel pitch, 16.7 Million display colors, 400 cd/m2 brightness, 1000:1 contrast ratio, 7ms response time, DisplayPort, D-Sub, DVI-D, Height, Pivot, Tilt, and it comes with a 3 year parts and labor warranty. This would be my choice if I was going to purchase a good gaming TN panel with DisplayPort. Specifications include; 1920 x 1080 resolution, 170Â°(H) / 160Â°(V) viewing angle, 0.2765mm pixel pitch, 250 cd/m2 brightness, 50M:1 DCR, 2ms GTG response time, D-Sub, HDMI, and DisplayPort connectors, 1 W x 2 Stereo, RMS built-in speakers, tilt adjustable, and it comes with a standard 3 year parts and labor warranty. Which is your favorite monitor manufacturer?